Leading off this week’s column: TerraCycle’s post, a good resource for the environmentally conscious, includes a surprising list of items you can’t recycle. 3M’s post is an inspiring story about an 8th-grade inventor who created an adaptable computer and mobile app for those with limited mobility. The World Health Organization is warning about a global disease that is becoming untreatable. Check out Agilent Technologies' post that looks at the need for new antibiotics to battle Gonorrhea. Wearwell’s post provides tips on how to avoid workplace trips (and slips and falls). 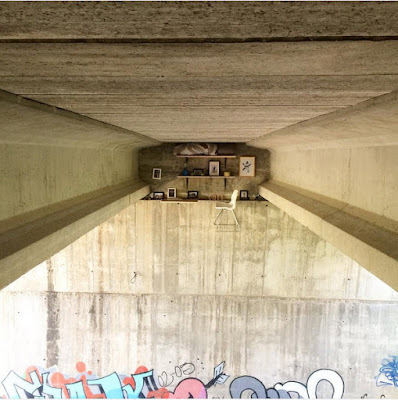 Here’s a Laughing Squid post that looks at an artist who went to great lengths (and heights) to create a quiet workspace. 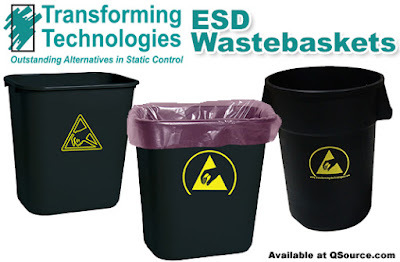 And we close out this week’s column with our post about static control and trash cans.